That night, as the surgeon completes his paperwork, he is visited by a family - a teacher, his heavily pregnant wife and their young son. Victims of a senseless attack, they reveal to the surgeon wounds that they could not possibly have survived. 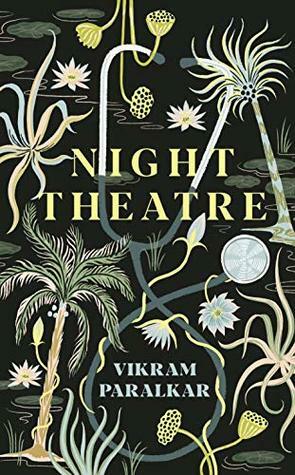 Night Theatre is an interesting and captivating read. I am calling it literary fiction, but you could also go with magical realism, given the things that happen within the tale. Paralkar's prose drew me in right away, and left me keen to see what would befall this village doctor in the dead of night. The surgeries he performs are described in great detail, so this book may not be for the squeamish. Then there is some discussion of the afterlife and what is an unjustified or unfair death. However, the story also looks at the role of the doctor, and the difficulties this particular man has faced that led him to be in the village. I can't say more without risking spoilers, but all in all Night Theatre is a well-written book with an intriguing premise that will certainly leave you thinking.